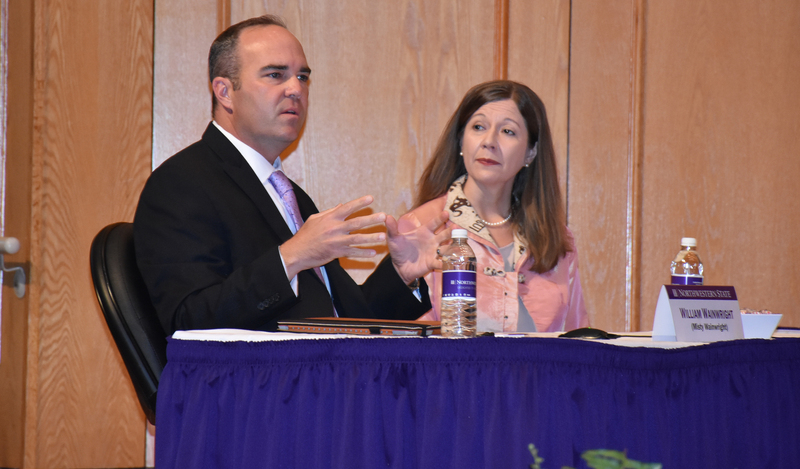 The Northwestern State University Search Committee selected two finalists, Chris Maggio and William Wainwright, to present to the Board of Supervisors for the University of Louisiana System for consideration. The Board will meet May 4 in Baton Rouge to interview the finalists and select a president. 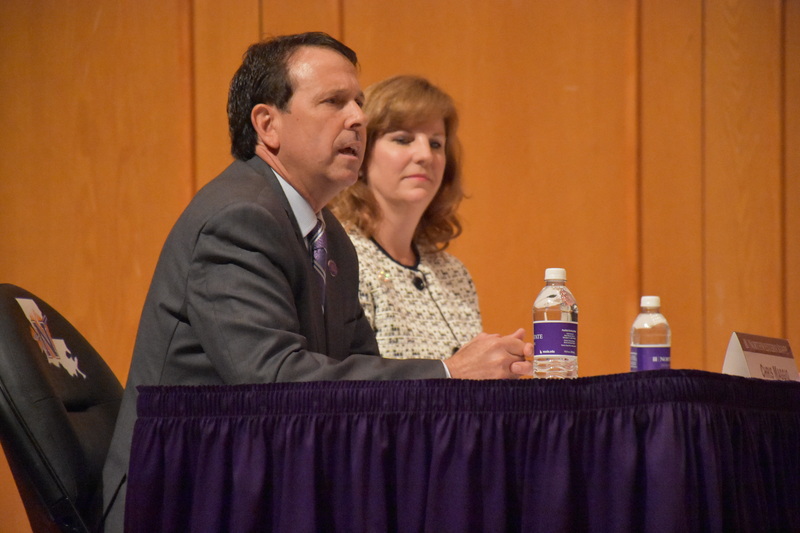 The Committee considered three semifinalists during a two-day process that included student, faculty, staff and community meetings on Tuesday and interviews today. Voting members of the search committee include UL System board members Edward Crawford, Lola Dunahoe, Pam Egan, Jimmie Martin, Shawn Murphy, Alejandro Perkins, Mark Romero, Winfred Sibille and Student Board Member Antonio Torres. Also serving as a voting member is NSU Faculty Senate President Marcia Hardy. Serving as advisory, non-voting members are NSU Student Government Association President John Pearce, NSU Foundation President Scott Andrews, NSU Alumni Association President Monty Chicola and community member Gail Jones. UL System President and CEO Jim Henderson serves as the non-voting committee chair. UL System President and CEO Jim Henderson led NSU prior to beginning his new role in January. Finalist Chris Maggio is serving as the university’s acting president. Click here for latest on the NSU Presidential search.